The board of directors is made up of 5 elected members that determine educational policy in the Forestville Union School District. Fosters an environment of communication by promoting a culture of open, transparent communication. Prepares the Board agendas with the Superintendent. Chairs the Board meetings, ensuring all board members have equal opportunities to participate, and facilitates effective deliberation. Serves, in collaboration with the Superintendent, as the official media contact for the Board. The position of President will be rotated annually at the December planning meeting. Rotation will be determined by seniority and whether the position has been held by that member in the past. The intention of the rotation is to allow all Board members an opportunity to serve in this role. When required by law: Certifies actions taken by the Board. Signs approved board meeting minutes. Signs documents on behalf of the Board. Serves as the presiding officer in the absence of the President. 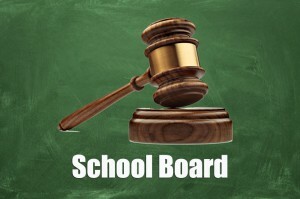 Serves as a representative of the Board to support the Superintendent, present a united front, and keep the Board advised of proceedings during Closed Session Meetings. Board Members will be given the opportunity to serve on various committees during their term to represent the District and perform specific duties necessary for the effectiveness of the committee.